Heck, you might as well, because ground coffee is already full of bug fragments and I’m not kidding. I wish I was, though. If you’re wondering how that’s possible, please, allow me to explain. 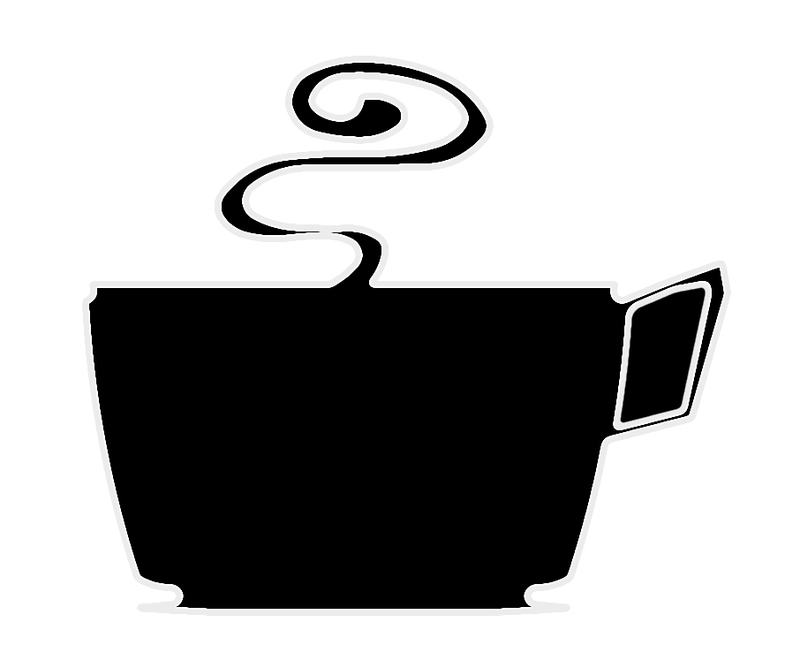 I did a little research and discovered the U.S. Food and Drug Administration (FDA) makes allowances for a certain amount of bugs and bug bits in our food; they’re vaguely labeled as ‘unavoidable defects.’ And they’re not just in coffee, either. 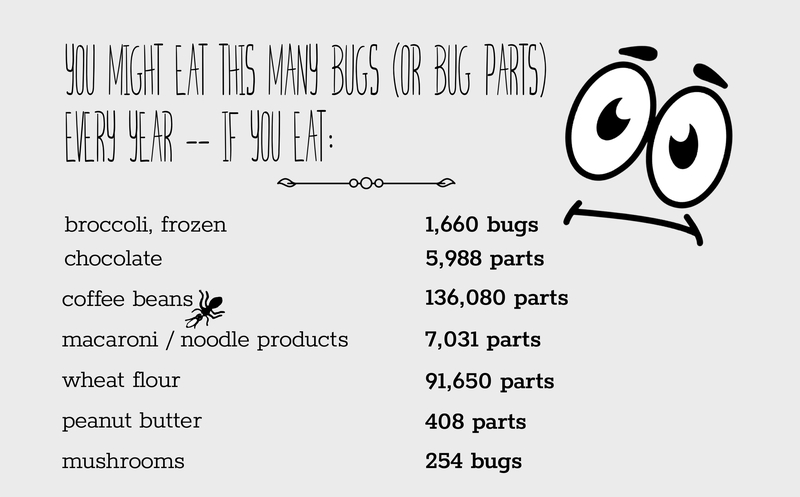 Bugs are everywhere and in all kinds of foods — from peanut butter to frozen broccoli. Even chocolate. Surprise, right? I’d no idea such a policy existed until I fished a gnat out of my morning coffee and faced a prickly conundrum: should I drink it or pour it out? Well, coffee’s pricey; I drank it. Oh, what, you wouldn’t? I took the bug out first, a teeny-weeny thing just a little bigger than the period ending this sentence. I didn’t see the harm and, look, here I am. Alive and kicking. The good news is, there’s no real reason to despair. The FDA keeps a tight cap on the number of insects allowed in our food. However, they do add up. But, on the positive side, bugs don’t affect the quality of your food and you can’t even taste them, so try to put it out of your mind. Besides, there are many people who advocate the eating of insects, because they’re a sustainable source of protein and don’t have much impact on the environment when they’re farmed. Just FYI. Even so, I’ll stick with the cookies, thank you. I know how exactly you feel. Sadly, there’s no CPR for 🕷s! I checked. Back in the olden days, when I was a kid, we played outside and ate dirt, bugs, worms, etc. Sometimes on purpose. It was our way of building up our immune system I’m told. Now they do it with antibiotics. There is probably bugs in those too. Aren’t you glad we grew up in the old days? The lack of entertainment forced us to find our own fun, which — now that I think of it — I’m lucky to have survived. Playing in traffic and jumping off stuff were my favorites.